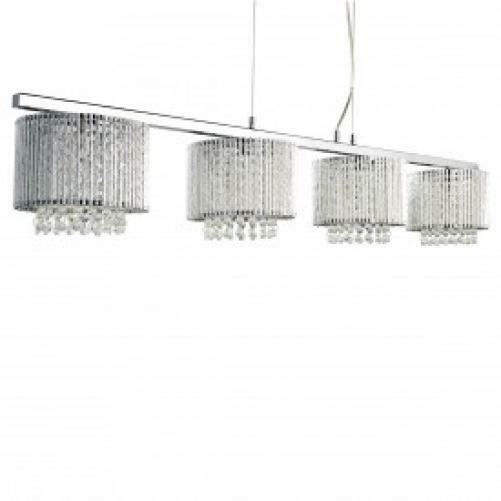 Strings of crystal dangle down from four chrome shades in this lavish ceiling bar. 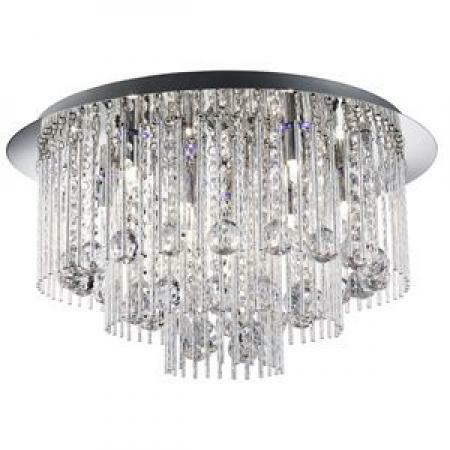 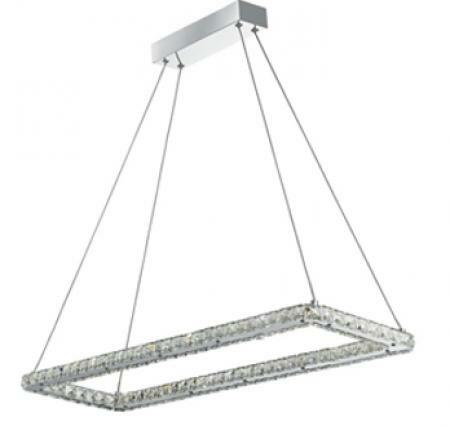 Fiercely modern, this light would look majestic in your home without being ostentatious. 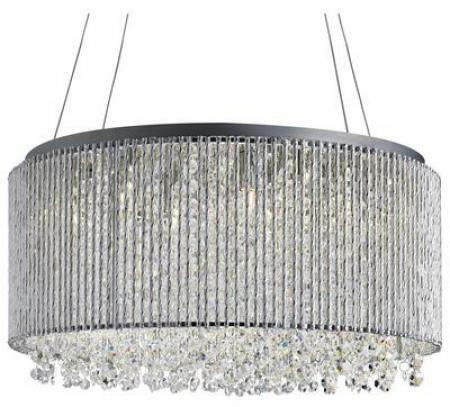 The beauty is in the detail, aluminium tubes are set in circular shades, hung by a chrome bar that is suspended mid-air by adjustable wire.